Two powerlifters have put the province on their backs, and are likely the best candidates to carry its weight. 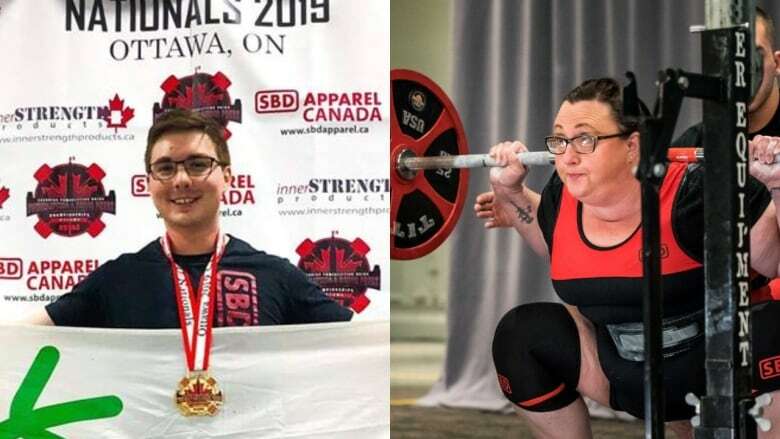 Bronson Jacque and Alisa Humber Cutler represented Newfoundland and Labrador at the powerlifting nationals in Ottawa on March 4. Both came away from the event with special stories. Two powerlifters have put Newfoundland and Labrador on their backs, and are likely the best candidates to carry its weight. 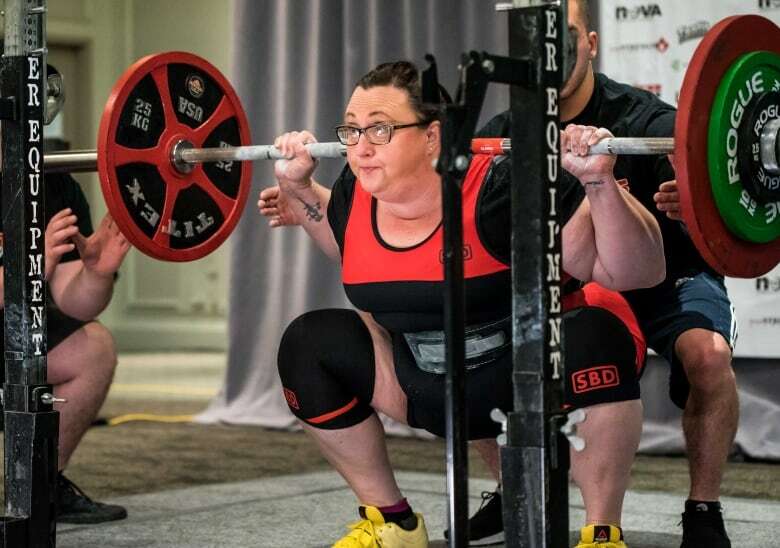 Alisa Humber Cutler, 49, originally from Daniel's Harbour, set a new women's national record in the master's Level 2 division at the Canadian Powerlifting Union national championships in Ottawa on March 4 by deadlifting a whopping 195.5 kilograms (431 lb. ), beating the previous record of 187.5 kilograms. "I didn't know that I actually moved into first place. Taking that record was thrilling in its own. It's something I've trained for and that I've envisioned," Cutler told CBC Radio's Newfoundland Morning. Cutler picked up the sport of powerlifting almost accidentally. She had been coaxed by a friend who had a buy-one-get-one-free pass to join a six-week weightlifting program. The pair split the cost of the membership, and the rest was history. At first she was resistant to the sport, she said, but quickly realized she was good at it. Some people find yoga, others find running, but Cutler found powerlifting. Cutler, a mother of two, said she has been trying to get her 20-year-old daughter into powerlifting for some time. Now that she holds a national record it may be the tipping point to get her daughter into the gym. "My daughter texted me when I was away and she said, 'Mom, I want you to teach me to lift. I'm so inspired by you,'" Cutler said. "That is the very best feeling that you could imagine." Bronson Jacque grew up in Postville, roughly 180 kilometres northeast of Happy Valley-Goose Bay, and represented Newfoundland and Labrador at the championships, taking gold in the open division. But, more than that, Jacque earned himself the right to represent Canada at the Commonwealth Powerlifting Championships, which will be held in St. John's in September. "I was over the moon, because I'm from a really small place and thinking about winning nationals — it's a big deal," Jacque told CBC Radio's Labrador Morning. Jacque started powerlifting when he was only 15, but it was only 2½ years ago when he took to the competition side of the sport. To reach his current level in such a short period of time was no fluke, Jacque said. 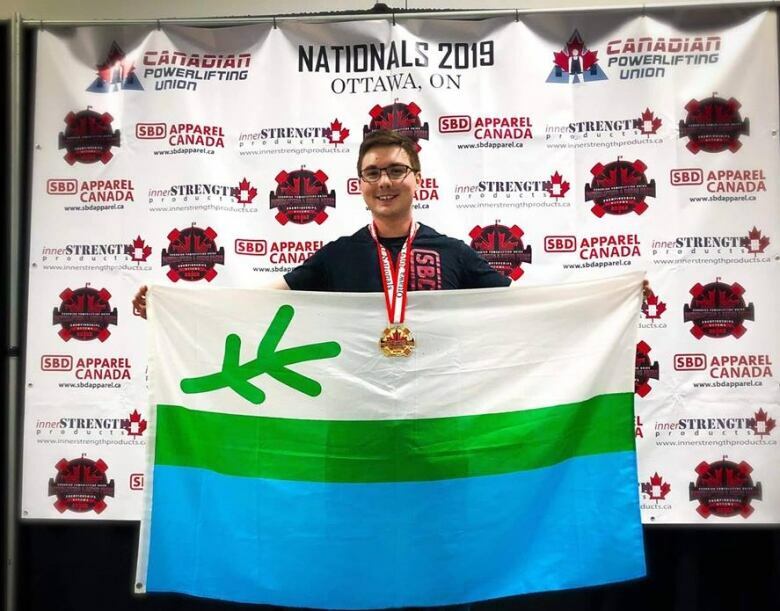 Growing up an athlete and beginning training early in his life helped him get to his first national competition in Quebec as a solo competitor, and now on to a gold medal, a national win and ultimately a national team. "It was just always being into fitness, and strength and training," he said. Jacque said he has a couple of months off before getting back to work and preparing for the world event in St. John's. He said he prepares by getting used to the equipment, training hard — and trying his best. "About two to three years ago I started focusing on powerlifting, and ever since then I've been trying to get better at the sport," he said. "I qualified for the B-team this year and it's just amazing. So, next my goal is to compete at international A-team, which would be everybody in the world [competing]."